Holy shrine of Mother VaishnoiDeviji — Maha Kali, Maha Lakshmi and Maha Saraswathy in one form. The shrine is situated in the town of Katra which is 50 Km from Jammu. In Katra the Holy temple cave is situated in the mountain Trikuta. It is a 14 KM trek from Katra to reach this Holy cave temple. Pilgrims have to register before proceeding to the temple cave. On the way is Baanganga which is believed to be created by Mata VaishnoiDeviji with her arrow. Then comes Charan Paduka where the foot imprints of Mata VaishnoiDeviji can be seen. Around 6 KM from Katra and at the half way is Adhkuwari. It is said that Mata VaishnoiDeviji has performed penance here in a small cave which represents like a womb. Further top is Sanjichhat which is the highest place to climb for reaching Holy cave temple. Helicopter service is available upto Sanjichhat. The pilgrims can climb the mountain by walk or by using the services of ponies, palquins or HelicopterThe journey to the Holy cave of Mata VaishnoiDeviji is a mind blowing scenic beauty and atmosphere . At the end pilgrims mind and body is rejuvenated with the Holy Darshan of Mata VaishnoiDeviji. 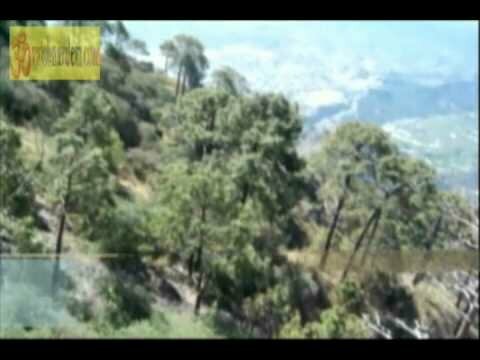 This was my first ever visit to the Holy Shrine of Mata Vaishno Devi in January 2010. ‘VAISHNO DEVI’ / INDIA’s 2nd LARGEST RELIGIOUS PLACES. 'VAISHNO DEVI' / INDIA's 2nd LARGEST RELIGIOUS PLACES.Editing by- Jitendra Kumar Jitu.Script & Voice- Anju Paudel.